We just had guerrilla heavy rain a few minutes ago here in Taki. It might be because of a Typhoon approaching to Japan. 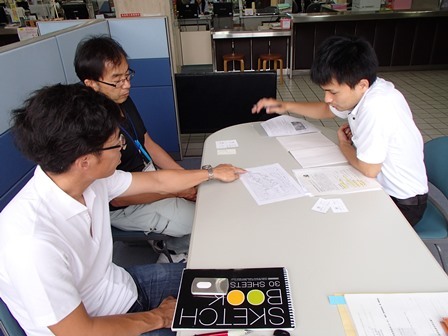 We had a meeting of an executive committee for “Seiwadai MTB race” last night. This time we are going to add some powerful members and try to improve this race more exciting, so please look forward to it!! Rice harvest is holding everywhere now around Taki. This makes me feel the beginning of autumn very much. This week when I’m driving to office in the morning, I found few people riding bicycle for their commute in Taki.I’m not sure if this is because of our activities but it’s happy for us to see people loving to ride bicycle. By the way, Holland is top of the Bicycle Country in the world. And they built up this bicycle country on 30 years plan since 1970. This is very long term I reckon. I guess we need to take actions to follow their way for success. We had rainy days on weekend and after that it became much cooler than last week. I feel it’s cold rather than cool at this office in Taki. I reckon that autumn is definitely coming here now. Well, we are introducing about an event which is held in autumn every year called “Oinai Festival”!! This festival will be held on 28th of September this year. They will have many events and exhibitions of the products of Taki. 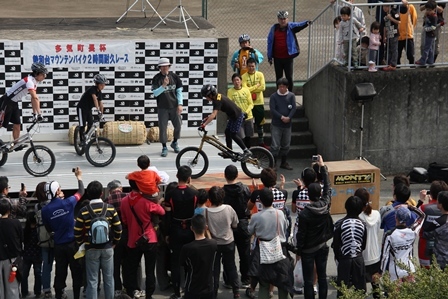 And as we did last year, we will have bicycle event inviting Mr. Shibata this year. 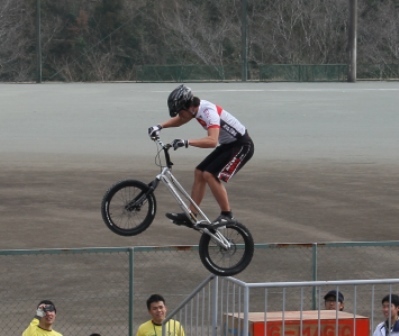 He is a Bike Trial Athletes. 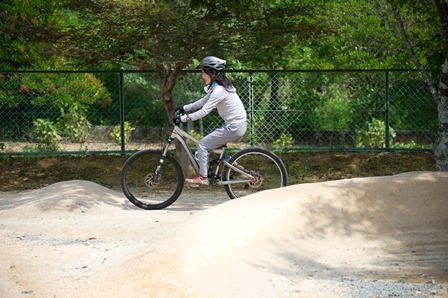 Bike Trial is a competition that you compete to crime rocks, steep slopes, logs, concrete, made barriers, without falling down from the bicycle or touching your feet on the ground. Please come and see his fantastic performance!! Obon holiday has already finished and you might have started working again as we have. 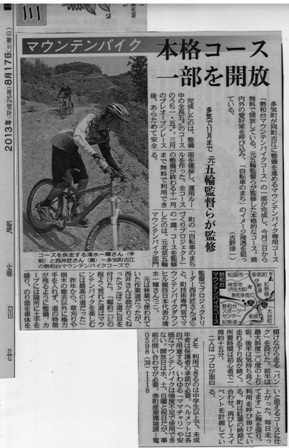 Well, as we reported the other day, the piece of Seiwadai course was on Chunichi newspaper:Mie page on 17th of August!! It seems that Obon has already started in Japan. We can often hear news reporting about holiday traffic congestion. Everywhere you go is so crowded, so today we introduce our pump truck at Seizansou in Niu which we produced, although we are warning you heatstroke. We staff tried the pump truck the other day and even it’s first time for some of us, we had so much fun & it took only several tens of minutes to get through it. Please try it if you have time with your family or friends!! It has been crazy hot but we find that there are many dragonflies around here in this few days. It’s already autumn on calendar although we can’t feel it. 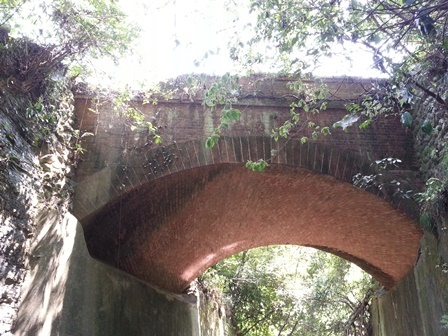 But autumn is definitely coming closer in nature. 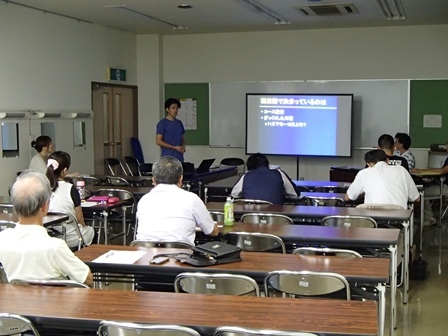 Well, we were interviewed for a newspaper about Seiwadai course yesterday. This piece will be on Cyunichi Newspaper sometime soon. It’s really hot in Taki again but this weather makes the view of Taki much more beautiful. Well, about the course opened the other day, we’ve been having visiters from various areas and I hope that you enjoy riding and nature using this course. 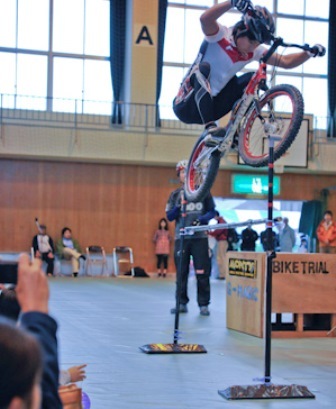 By the way, we are holding “The second Seiwadai MTB race” in this end of November or beginning of December following last March. This time we’d like to ask more people in this town for help, so we are inviting the member of executive committee more widly. Targets are companies or local organizations in Taki but if there are someone who are interested in this project, please feel free to contact us. The time flies so quickly and it’s already August. Here it comes the season to enjoy the mountain, sea, river and bicycle! 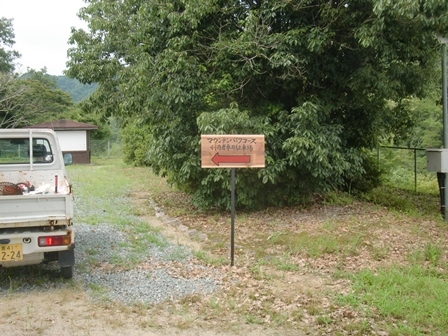 And finally, the MTB course will be opened on 3rd of August, tomorrow!! We performed at a rapid pace and we were in time somehow. 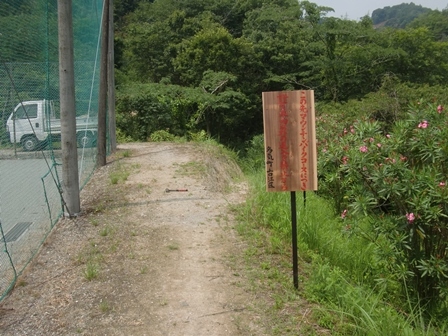 This is a course you can run with your MTB on SATOYAMA (rural mountain). 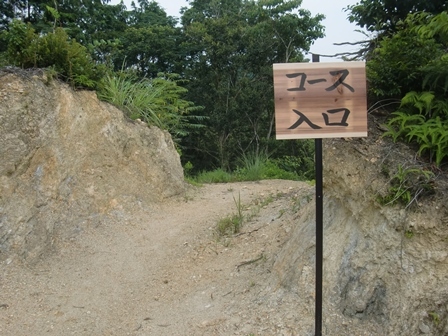 And also you can feel the coolness when you run in the mountain this season, so please visit us to Seiwadai MTB course when you have time! !